YEAN draws a parallel between the historical town of Hall in Tirol and the enclosed and mono-functional space of a shopping mall. The listed buildings are a perfect backdrop for the leisure industry. 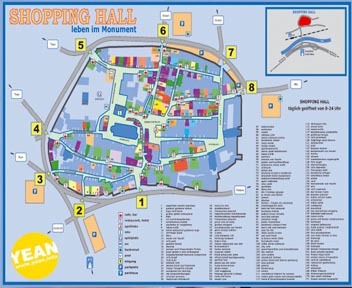 They provide a lovely space for commercial activities with a typical Tyrolian ambience: Shopping Hall.